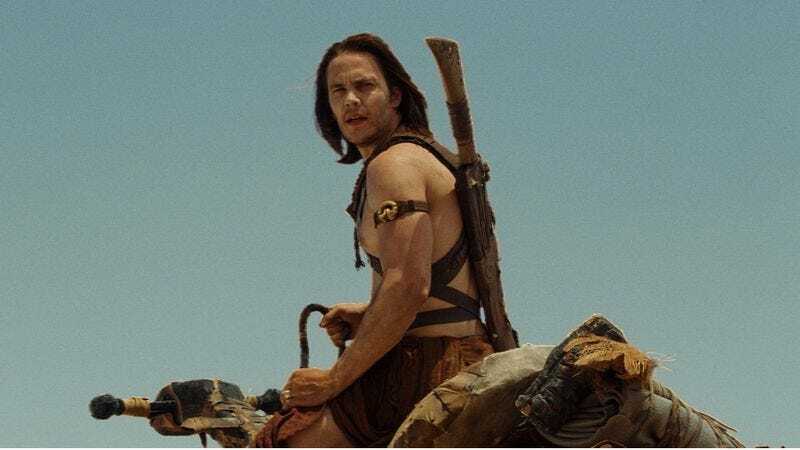 Finally admitting that advertising John Carter as “the year’s first blockbuster” may have been a slight hyperbole, Disney has announced that the film’s poor returns will force it to make a $200 million write-down—an accounting term for when studios write down the words “$200 million” on a piece of paper and then symbolically set it on fire, allowing the cleansing smoke to fill its eyes with an ablution of tears. “As a result, our current expectation is that the Studio segment will have an operating loss of between $80 and $120 million for the second quarter,” Disney said in a statement issued to shareholders, who tried yet failed to find themselves comforted by the included images of Goofy taking a hilarious tumble in its margins. As The Hollywood Reporter notes, this marks the fourth year in a row that Disney has had to post this sort of loss thanks to a film, with John Carter joining other flops like Mars Needs Moms, The Sorcerer’s Apprentice, and The Prince Of Persia: The Sands Of Time, yet outdoing them all in terms of costly failure. Undaunted, Disney helpfully reminded everyone in the same statement that it has both The Avengers and Brave coming out this year, and that it already makes billions of dollars all the time, because it is Disney.